This week, for our Link Party, I decided to feature fantastic recipes! It may just be because I’ve been searching Pinterest for this week’s meal plan – but I have been encountering TONS of yummy recipes! And I’d love to share some of them with you! The first one comes from one of my very favorite recipe blogs, Kevin & Amanda. It is so simple, that it only has 4 ingredients. Yep! Only 4! You would never guess, based on how yummy these Salsa Verde Chicken Enchiladas look! Just look at them! Then head over to the blog and see the recipe! Next, I want to share these Poppyseed Pretzel Dogs. They look sooo good! This recipe comes from Trish over at Mom on Timeout. Click on over (right here) to read her post. The last one is one of my own, but I had forgotten about it until I was looking for dinner ideas, so I thought I’d share it with you again. 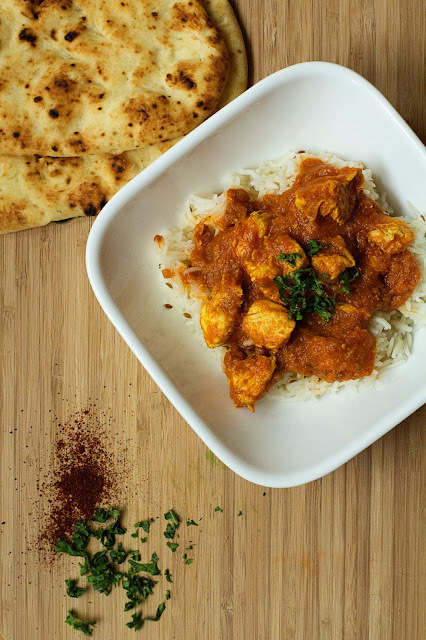 It is Chicken Makhani, otherwise known as Indian Butter Chicken. The dish is so tender and so flavorful – absolutely delicious! Do you have any delicious recipes to share? Or anything else you’d just love to show off?? I can’t wait to see your link! Leave it below!! Ooo. I want the Chicken Makhani! I would link up but I don't have any recipes to share! I wish I did. I normally just stalk other peoples recipes and trying them..LOL ha! All that looks so yummy!! I am getting hungry now!! So many great recipes. I want to try those pretzel dogs. Yum! I don't have any new recipes but I can definitely link an old one! Oh fantastic. I was looking online for some recipes to make for dinner this week. It turns out so tender! You should try it tonight! It's delicious! Your Mongolian Beef looks so good! I can't wait to try it this week.